DONETSK, Ukraine — Ukrainian separatist leader Denis Pushilin said on Saturday six rebels had been killed while trying to collect the bodies of comrades who had died under Ukrainian army fire earlier this week close to Donetsk airport. 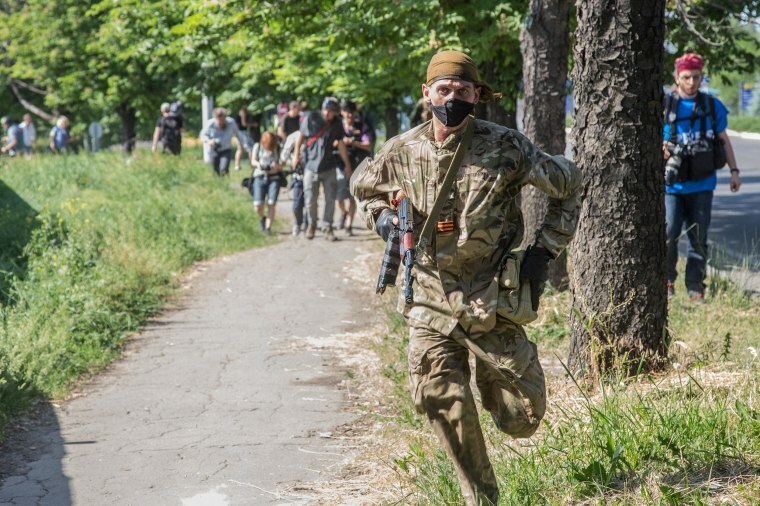 Regional news agency Interfax cited the prime minister of the self-styled Donetsk People's Republic as saying the separatists will ask the International Red Cross to remove corpses by the airport. It was unclear how many remained.